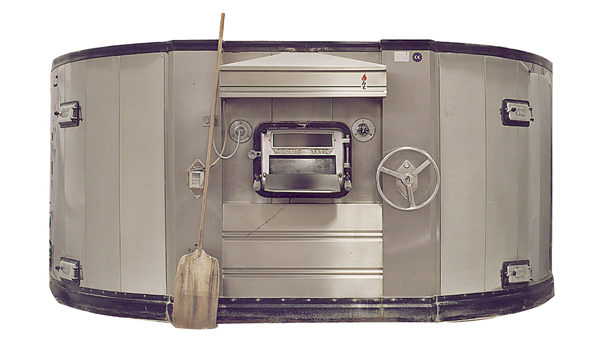 The oven is equipped with a hopper for automatic feeding of biomass (pellets, almond shell, olive pit grinds, etc.) The operation is continuous via a motor-reducer activated by a switch. It’s also equipped with an internal detection system which provides a warning signal when quantities are low. A sieve located at the entrance prevents unwanted materials (other than the biomass) from entering. The combustion chamber comes with an automatic ignition system and ventilator to improve combustion. It also equipped with a grill on the upper part and a tray on the lower to remove ashes from combustion. 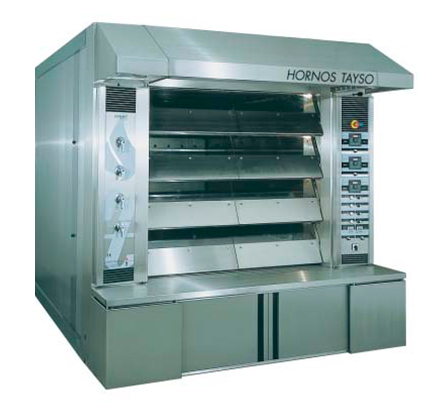 Rack oven made primarily of stainless steel. 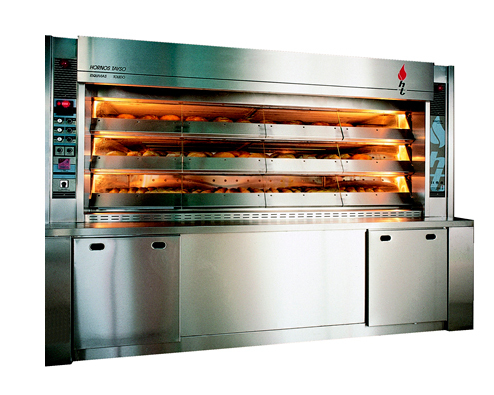 Baking on racks with forced hot-air circulation through regulating flaps from a ventilating turbine; therefore the flow is uniform and the baking is even on each tray of the rack from top to bottom. Rack turning by motor-reducer. 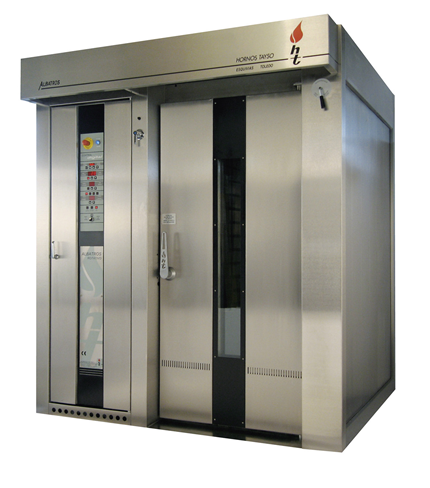 Equipped with a double steamer as a standard plus a robust heat–exchanger provides quick temperature recovery. Manual and automatic steam exhausting system from the baking chamber and decompression system. Our baking chamber door with double paned glass has high temperature resistance which allows viewing of the baking process any time. A security handle to open the door is also located inside. The oven comes with a digital control panel located at the fire-box door.